The VBC Group is widely regarded as one of the leading providers of welding and brazing alloys, associated products and services. Based in the United Kingdom we have supported long term relationships with companies worldwide since 1985. 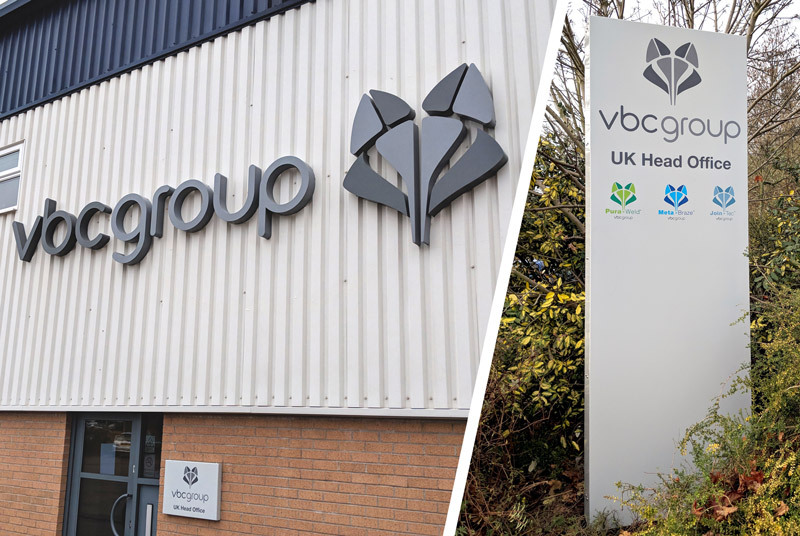 Established in 1985 as Vacuum Brazing Consultants Ltd, VBC Group is headquartered in Loughborough, East Midlands, at the heart of the UK’s aerospace industry. VBC Group’s scope of supply now covers a worldwide customer base in the ﬁeld of welding, brazing and allied technologies. 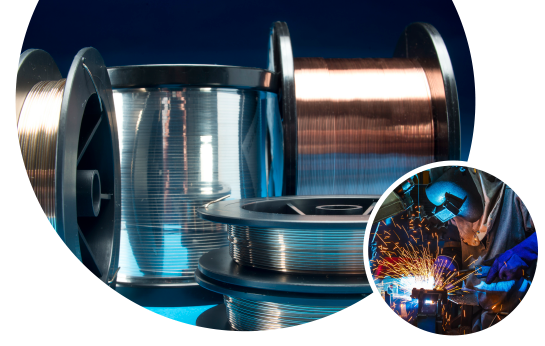 VBC Group is a global supplier of premium quality welding wire, brazing alloys and associated products. We are specialists in supporting quality-critical and high-tech applications such as aerospace, electronic imaging components, oil and gas, power generation as well as emerging technologies. We are committed to providing complete and bespoke joining solutions for advanced materials. We aim to meet our customers’ individual needs with attention to detail and quality products. At VBC Group we strive to positively inﬂuence our industry, the environment and wider community. VBC Group is flexible and responsive in its approach to customer requirements. We can provide services around our core product range such as flagging of rods, wire drawing, straightening and cutting, photo-etching, refining and pre-form manufacture. We also manufacture bespoke aerospacegrade brazing pastes. VBC Group carries Aerospace Standard AS9100 approval. Our quality system is based on this demanding standard which underpins all of our activities. Our customers can be confident that VBC Group has the quality credentials to meet their requirements. VBC Group has the expertise to provide technical support for our products and the processes they are used in. Our customers can be certain that if they need advice on techniques, more detailed technical support or a full consultancy package then VBC Group can provide it. Whether your requirement is for a single box of welding rods or a complex portfolio of 100s of products VBC Group’s customer service team will provide you with individualised customer support. With an on-time delivery rate of above 99.5% you can be sure of excellent service. We can help customers in many areas of joining technology including welding metallurgy, vacuum brazing processes (including honeycomb brazing), precious metal filler metals, brazing of man-made hard materials such as WC, PCD, CBN and diamond and brazing of ceramics using active metal brazing filler materials and techniques. We understand the importance of continuous improvement and are committed to satisfying our customers’ quality expectations. Our quality system is based on the demanding standards of aerospace and we apply these standards for all of our customers regardless of their size, market sector or location. We provide only quality products, sourced from USA and Europe, the majority of which have to meet aerospace standards but we pass this quality on to all of our customers regardless of market or application. Our experienced team of engineers and metallurgists are able to support you whatever your requirements. Stocking one of the largest inventories of welding wires & rods, brazing alloys, braze pastes, braze tape, braze fluxes, braze Stop Offs™ and many other associated products. Did you know, VBC materials are found in parts for aero engines, land based turbines, aircraft and space electronics sensors, heavy ceramics, cryogenic tanks and vessels – to medical devices, motorcycle and race car exhausts, night vision goggles, semiconductors, rocket engines and aerostructures. Buying from VBC means the fastest deliveries possible, of a consistent and reliable product with unrivalled customer service and support.